If you are feeling bored, then you are not alone. Many senior citizens across the country face boredom on a daily basis. This is because they no longer have work or other responsibilities that can keep them busy throughout the day. However, this boredom can lead to more serious issues such as depression. That’s why it is important to find ways to fill your senior loved ones’ day with fun activities that can provide their life with fulfillment and achievement. 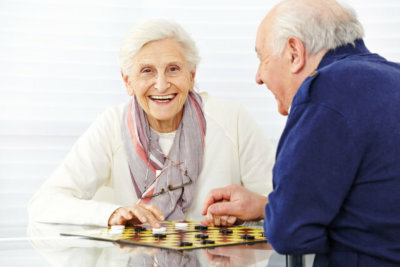 Peachtacular Home Health Care understands the importance of these activities and through our One on One Personal Care services, we can provide your loved ones with the personalized support that they need to live a more exciting life today. The best and most effective ways to prevent the effects of boredom is to simply find a hobby. There are a limitless amount of hobbies they can do right at home, so help them find something that they enjoy or can make them happy. Some great examples of hobbies at home are gardening, cooking, playing an instrument, or even doing art. Life can get lonely when seniors are not spending it with the people they love, so accompany them on a trip, spend more time with them, and create memories that they will cherish for a lifetime. You will be surprised by how good they will feel by having a great night out with the people they love. A person is never too old to experience new things. Let your senior loved ones venture new foods, new activities, or even listen to new kinds of music. Allow them to have fun and experiment with life because they might just find their next favorite thing! As a Home Health Care in Metro Vancouver, we are committed to helping seniors live an independent and fulfilling life at home. Through our services, we can relieve the stress on your loved ones’ shoulders so they can focus on what makes life special, rather than worrying about chores or errands. Allow them to try new things, do what they love, and spend more time with their loved ones for a more exciting and less boring life! Through our personalized services, we can help your loved ones live the life they want.